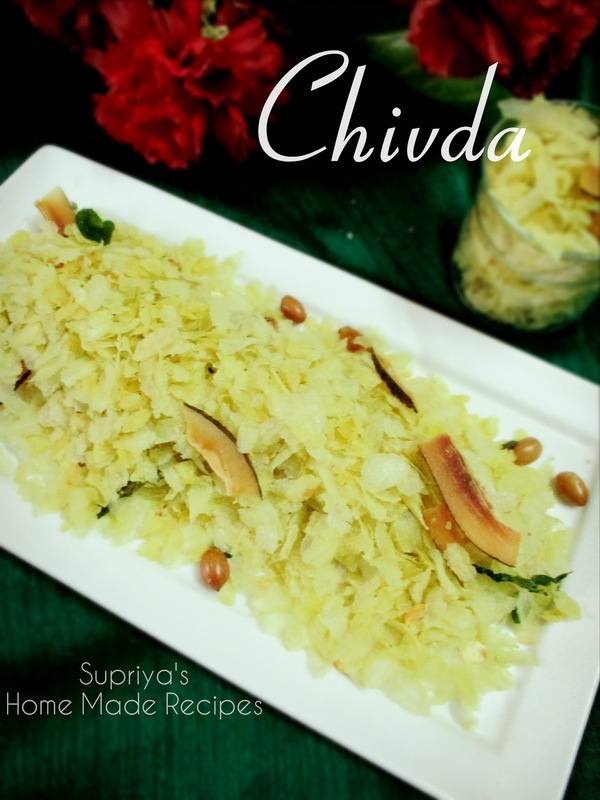 Chivda is one of the most famous Indian snack. 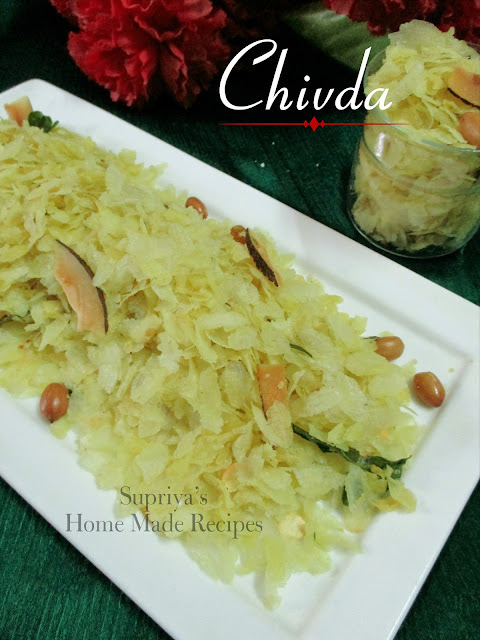 This namkeen snack is prepared mostly during Diwali festival and is popularly known as Chivda in Maharashtra. Its made from thin- beaten rice flakes(Poha/ Avalakki) or even with puffed rice (chirmuri). 1. Fry peanuts, fried gram , green chillies, dry coconut slices, curry leaves and cashews separately with little oil and keep it aside. 3. Remove from the flame and add sugar and raisins. 4. Gently mix all together and spread it on a paper. Allow it to be cooled completely before storing it in an air - tight container. all time fav.guilt free snack.nice spae.glad 2 visit u..